We thought it was high time that our readers get to meet the incredible team here at Just Trees. So once a month we’ll be featuring a different staff member and this month we start with Beven Ndemera! 32 year old Beven was born and bred in Zimbabwe, where he studied Horticulture. After his tertiary education, he then moved to South Africa in 2011 and began working on a rose farm in 2012 in Mpumalanga for about a year. After a brief stint in Limpopo on a game farm, he connected with a friend who was already working at Just Trees and came to work here in October 2013. 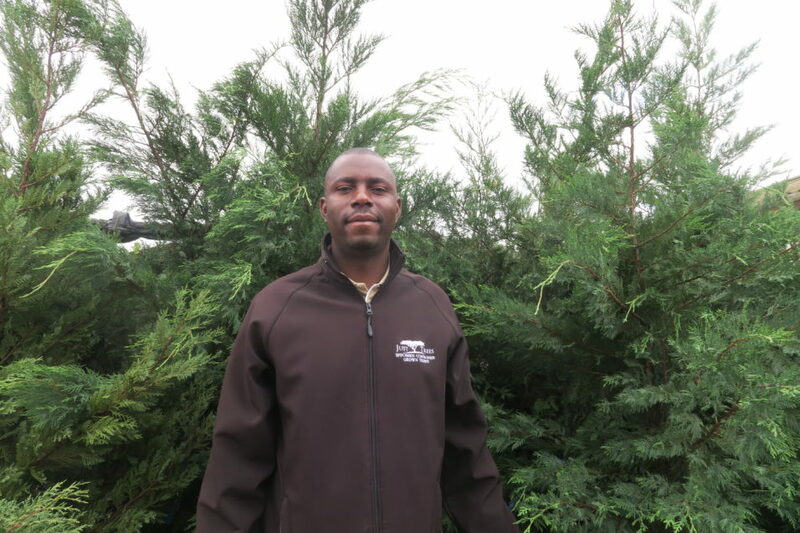 When Beven arrived he was working as a general worker in the nursery, and today he is the assistant nursery manager, a testament to his passion, focus and work ethic. Beven’s role as assistant nursery manager involves working with the various teams on the nursery ground, managing the workers, listening to their feedback and ensuring that every different aspect of the nursery is running smoothly and efficiently. There are seven teams on the nursery grounds, and Beven is responsible for delegating duties to each team every morning. After this, he follow ups with each team making sure that the tasks are being done, and being done properly to industry standards. From planting, to irrigation, to pruning, to weeding, to dispatching and providing that the right trees are ready and waiting for the client – each day demands a different task or requirement, and Beven is there to oversee that all this work gets done smoothly and efficiently. And what does treeification mean to Beven? It means incorporating the planting and growing of trees, gardens and parks into the urban, modern environments and buildings. He also sees treeifcation “as measure to try and address the imbalance of climate change” and as means to reforestation and beautifying our surrounds. Keep an eye out to meet the rest of our wonderful team here at Just Trees!